Thinking about moving to California? There’s a reason 38.8 million people call California home. For some, it may be the lure of Hollywood or the desire to chase ocean waves. For others, California may mean big opportunities with one of the state’s many tech companies. Whatever the reason, one thing is clear – the Golden State simply has the size, beauty and opportunity other states seem to lack. If you’re thinking about living in California, one of these 10 places might be the perfect spot. What are the best places to live in California? These Californian cities, listed in no particular order, are some of the best places to call home. This photo perfectly captures a daily view of the San Diego Bay. Average Temperature: the annual high for San Diego is 69.8°F and the annual low is 57.5°F. 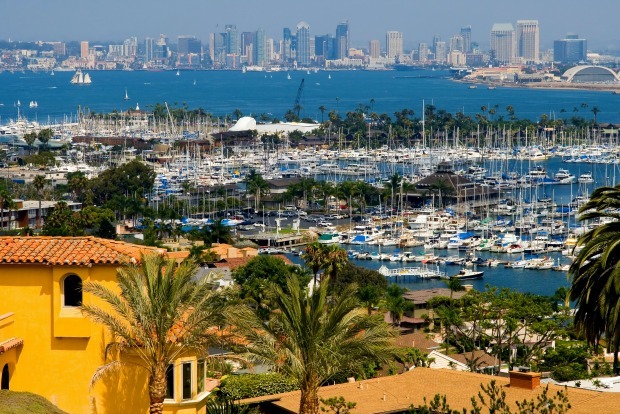 What it’s known for: beautiful beaches, Mexican food, the U.S. Navy (largest naval fleet in the world), proximity to Tijuana, major attractions (San Diego Zoo, SeaWorld, Legoland, Balboa Park), Comic-Con, craft beer and the Gaslamp District. Who should move there: beach goers, young families, college students and health enthusiasts. You’ll find locals: outside – the weather is always great! Fun fact: San Diego produces more avocados than any other place in the United States. 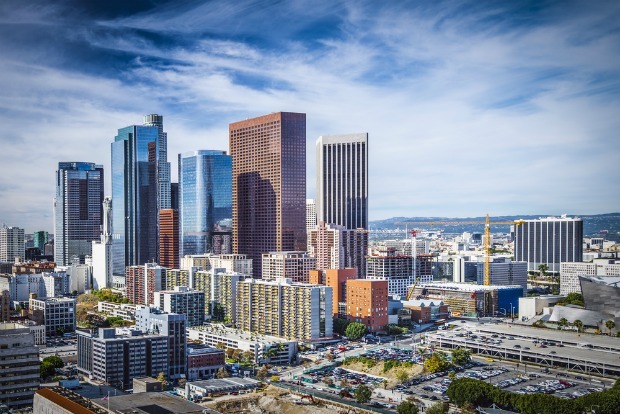 Average Temperature: the annual high for Los Angeles is 71.7°F and the annual low is 55.9°F. What it’s known for: Hollywood, Beverly Hills, ethnic diversity (more than 140 ethnicities in the city), fashion, business, manufacturing, Santa Monica Pier, museums and pro sports teams (Lakers, Dodgers, Clippers and Kings). Who should move there: creatives, singles, fashionistas and sports fanatics. You’ll find locals: at the Los Angeles Farmer’s Market. You can bargain shop, people watch and maybe spot a celebrity or two. Plus, it’s usually tourist-free. Average Temperature: the annual high for San Francisco is 63.8°F and the annual low is 50.8°F. 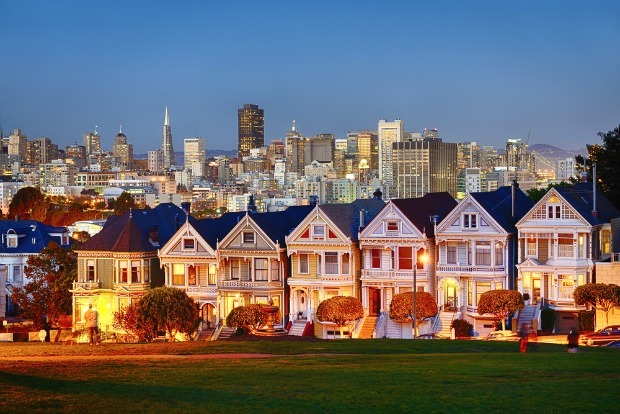 What it’s known for: the San Francisco Bay, Golden Gate Bridge, Alcatraz, Chinatown, Lombard Street, pro sports (49ers and Giants), coffee, fog, cable cars, Fisherman’s Wharf, Ghirardelli Chocolate and steep hills. Who should move there: techies, fitness fanatics and nature lovers. You’ll find locals: at the parks – there are more than 200 in the city. Fun fact: San Francisco was built on 43 hills! Average Temperature: the annual high for Berkeley is 67.8°F and the annual low is 48.4°F. 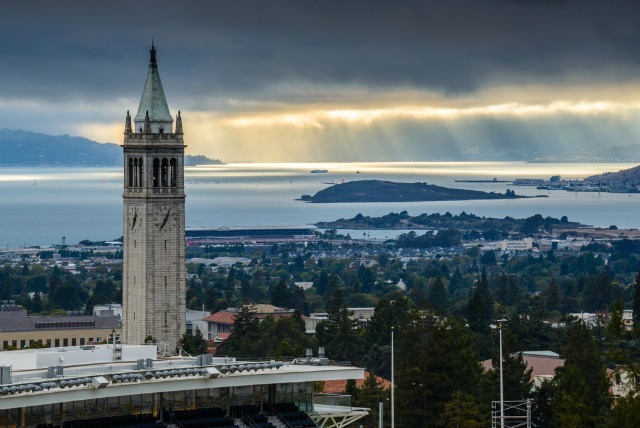 What it’s known for: the University of California at Berkeley, diversity, progressive government, locally-owned shops, San Francisco Bay views, Berkeley Rose Garden and Tilden Regional Park. Who should move there: college students and teachers, bicyclists and outdoor enthusiasts. You’ll find locals: at the festivals. The city hosts many festivals throughout the year including the Arts Festival, Kite Festival, Juggling and Unicycling Festival and even a “How Berkeley Can You Be” festival. Fun fact: since 2000, Berkeley has gained more than 4,470 trees along streets and in parks. This movement is part of the city’s goal to improve air quality and reduce local air temps. 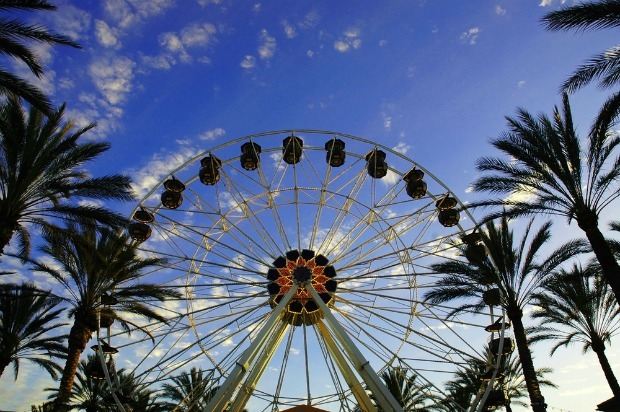 Average Temperature: the annual high for Irvine is 65°F and the annual low is 47.5°F. What it’s known for: good public schools, notable company headquarters (Taco Bell, In-N-Out Burger, Kia Motors and Toshiba), Irvine Spectrum Center, the University of California at Irvine, filming, bike trails and the Irvine Museum. Who should move there: families, bicyclists, actors and college students. You’ll find locals: at the parks, on the beach or on the trails. Fun fact: There are more than 44 miles of bike trails and 200,000 acres of parks and preserves for outdoor sports and recreation. Average Temperature: the annual high for San Jose is 59.8°F and the annual low is 42.3°F. 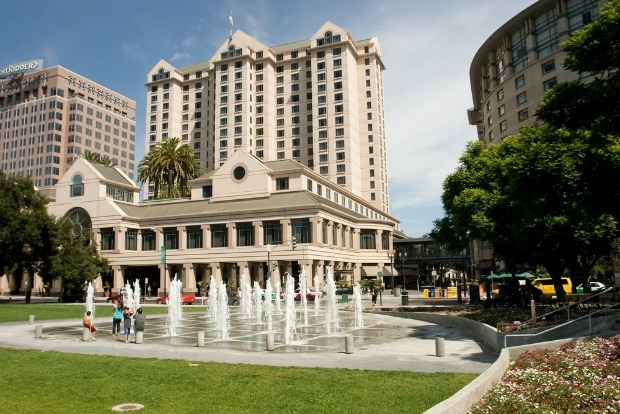 What it’s known for: the Capital of Silicon Valley, The Tech Museum, Winchester Mystery House, Santana Row, festivals, educated workforce, parks and San Jose State University. Who should move there: tech whizzes, college students and families. You’ll find locals: cheering on the Sharks (NHL), the Giants (Minor League Baseball), the Earthquakes (Major League Soccer) and the Spartans (San Jose State athletics). Fun fact: San Jose was the state’s capital before the switch to Sacramento in 1854. Average Temperature: The average annual high for Fresno is 76.7°F and the average annual low is 51.9°F. What it’s known for: Close proximity to Yosemite National Park, lower cost of living, California State University at Fresno, fine arts and community parks. Who should move there: Outdoor explorers, budget-conscious people, farmers and independent performers and artists. You’ll find locals: in the Tower District. It’s the spot in Fresno for dining, arts and entertainment. Most restaurants and retail shops are locally-owned, too. Fun fact: Fresno is known as the Raisin Capital of the World. Average Temperature: the annual high for Santa Barbara is 69.9°F and the annual low is 53.5°F. 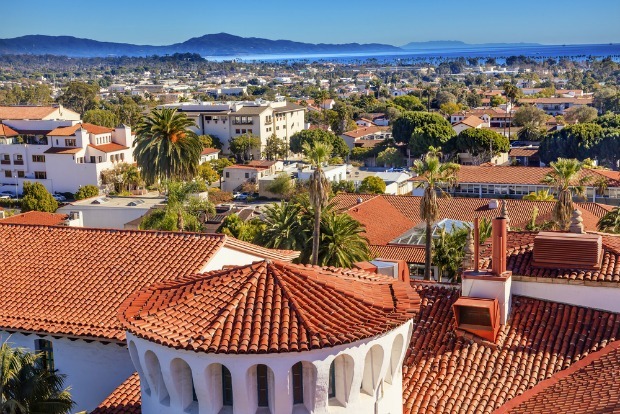 What it’s known for: beautiful scenery, Spanish architecture, wine, The Channel Islands National Park, hiking, the University of California at Santa Barbara and State Street. Who should move there: wine connoisseurs, people who love the community, college students, shopaholics and hikers. You’ll find locals: exploring the outdoors. With about 300 days of sunshine per year, the hardest part of living in Santa Barbara is staying inside. Fun fact: the city is often referred to as the “American Riviera” because its climate feels Mediterranean. 9. San Mateo County, CA (includes San Mateo, Palo Alto, Redwood City, and Half Moon Bay…just to name a few). Average Temperature: the annual temperature for San Mateo County is 57.4°F. 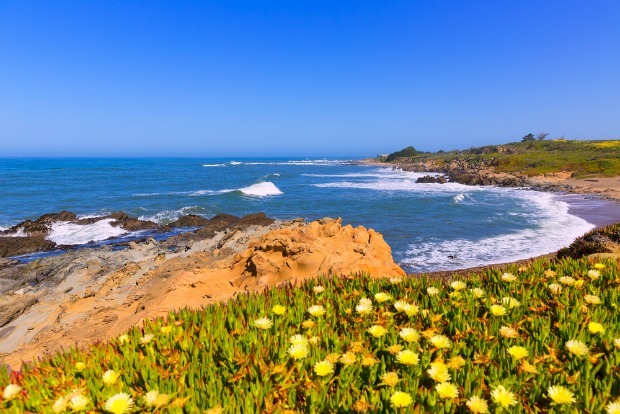 What it’s known for: close proximity to San Francisco and San Jose, friendly people, Coyote Point Park, Pillar Point Harbor, low unemployment rate, technology, Stanford University and the Filoli Gardens. Who should move there: job seekers, students and those who want a short commute to San Jose or San Francisco. You’ll find locals: on the golf course. The county is located on a 60-mile peninsula that features beautiful views and outstanding, year-round conditions on the area’s many courses. Fun fact: YouTube originated in San Mateo. 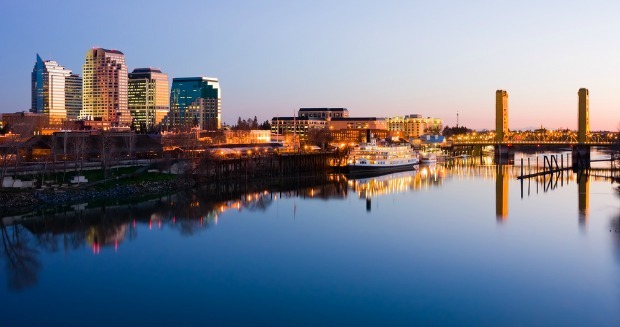 Average Temperature: the annual high for Sacramento is 73.6°F and the annual low is 48.3°F. 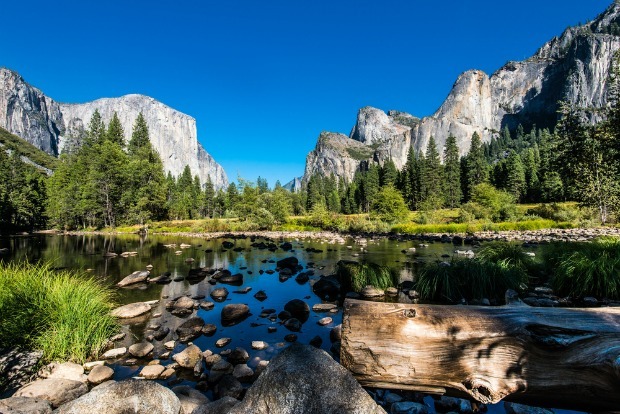 What it’s known for: being the capital of California, California State University at Sacramento, the UC Davis Medical Center, festivals, Crocker Art Museum, locally-grown food, the Kings (NBA) and its proximity to Lake Tahoe, San Francisco and Yosemite National Park. Who should move there: bicyclists, outdoor adventurers, families and college students. You’ll find locals: at one of the many restaurants in the city. There are more than 1,200! Fun fact: Sacramento is known as “America’s Farm-to-Fork Capital” because many restaurants get their food directly from local farms.